AKA Elmo Burns Roper, Jr. 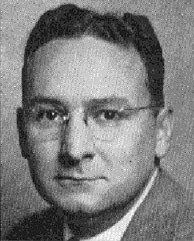 Co-Founder of Cherington, Wood, and Roper (the others being Paul T. Cherington and Richardson Wood), an early market research firm. In 1938 Roper split from the firm, founding Roper Research Associates, Inc. For Fortune magazine he ran Fortune Survey (1935-50), which brought some credibility to the field of polling, though the "Dewey Defeats Truman" fiasco of 1948 caused a considerable setback. For ten years Louis Harris worked for Roper, until 1956 when he established his own polling firm. Roper retired in 1966.